Photographic portrait of Mrs Beeton, c.1860-5. 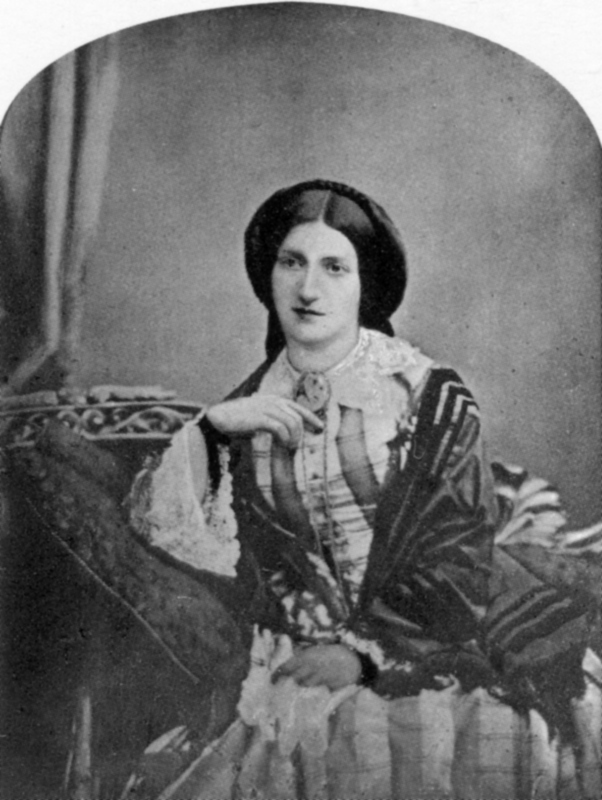 Isabella Mary Beeton (née Mayson) (12 March 1836 – 6 February 1865), universally known as Mrs Beeton, was the English author of Mrs Beeton's Book of Household Management, and is one of the most famous cookery writers. Isabella was born at 24 Milk Street, Cheapside, London, England. Her father, Benjamin Mayson, died when she was young and her mother, Elizabeth Jerram, later married Henry Dorling, who was a widower and had four children of his own. They lived in Epsom, Surrey where Henry was Clerk of Epsom Racecourse. Isabella was sent to school in Heidelberg, Germany, for two years where she became an accomplished pianist and afterwards returned to Epsom. Her nephew was Ulster Unionist Party MP Sir Walter Smiles, her great-niece being Patricia Ford, Lady Fisher, also a UUP MP. Isabella's husband, Samuel Orchart Beeton, was also born in Milk Street. Even after the move to Epsom their two mothers had kept in touch. On a visit to London, Isabella was introduced to Samuel Beeton, who had become a publisher of books and popular magazines. They married on 10 July 1856 at Epsom Parish Church. In August of that year they moved into their first home, a large Italianate property at 2 Chandos Villas on the Woodridings Estate in Hatch End. Their first child, Samuel Orchart, was born in May 1857 but died of croup in August of that year. In September 1859, their second son, also named Samuel Orchart, was born. 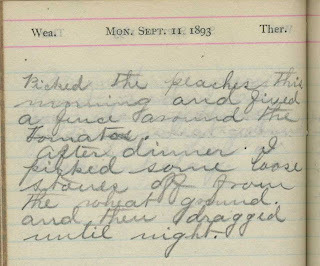 During her time in Hatch End Isabella began to write articles on cooking and household management for her husband's publications. 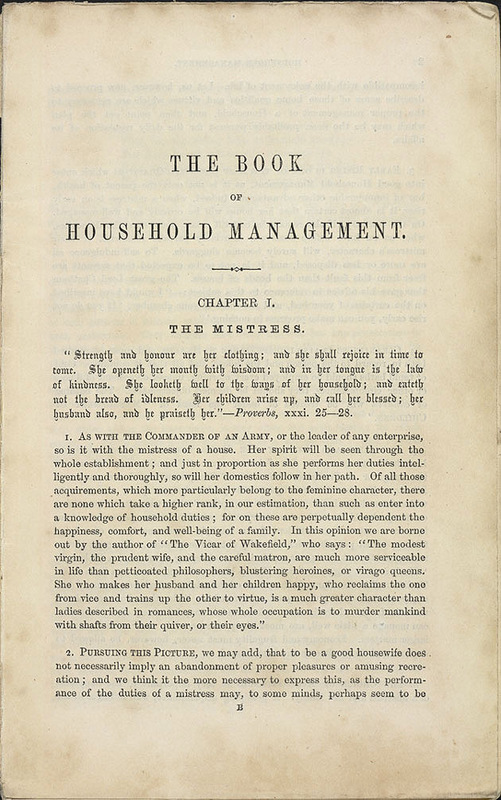 In 1859–1861, she wrote a monthly supplement to The Englishwoman's Domestic Magazine. 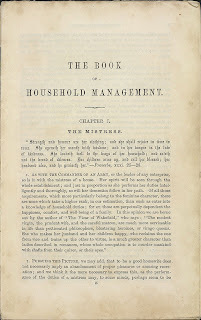 On December 25, 1861, the supplements were published as a single volume, The Book of Household Management Comprising information for the Mistress, Housekeeper, Cook, Kitchen-Maid, Butler, Footman, Coachman, Valet, Upper and Under House-Maids, Lady’s-Maid, Maid-of-all-Work, Laundry-Maid, Nurse and Nurse-Maid, Monthly Wet and Sick Nurses, etc. etc.—also Sanitary, Medical, & Legal Memoranda: with a History of the Origin, Properties, and Uses of all Things Connected with Home Life and Comfort. In 1861, Samuel Beeton founded The Queen, the Ladies' Newspaper - a weekly magazine for ladies, but not fashion oriented at first. It was focused on high society and detailed London social events. The articles covered occupations, literature, and other amusements suitable for proper ladies. In 1862, Beeton sold The Queen to William Cox. The Beetons left Hatch End in the autumn of 1861. In December of that year their son was taken ill with scarlet fever while on holiday in Brighton. He died on New Year's Eve. Mrs. Beeton gave birth to two other sons, Orchart (on New Year's Eve in 1863) and Mayson Moss (in January 1865). Orchart went onto lead a prosperous life in the army and Mayson initially followed in his father's footsteps as a publisher and later as a journalist. 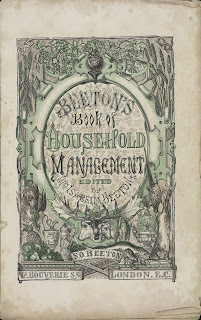 Book of Household Management - Popularly known as Mrs Beeton's Book of Household Management, it was a guide to running a Victorian household, with advice on fashion, childcare, animal husbandry, poisons, the management of servants, science, religion, and industrialism. In this book Mrs Beeton also highlights the importance of both animal welfare and the use of local and seasonal produce, long before such concerns became mainstream. 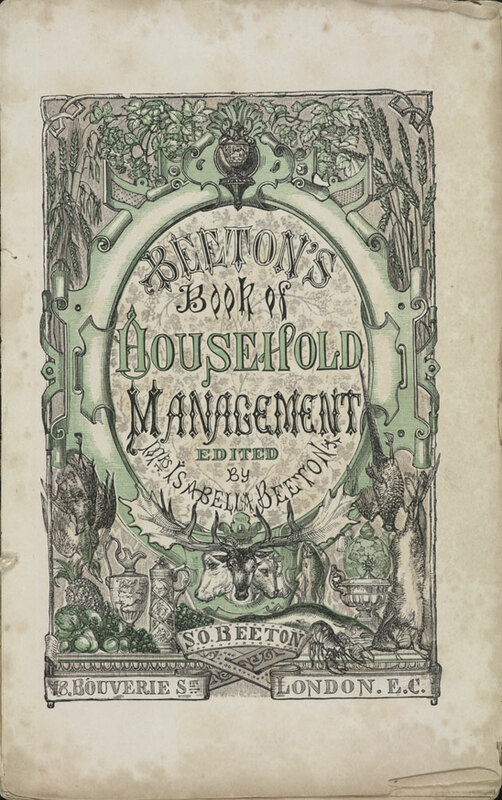 Of the 1,112 pages, over 900 contained recipes, such that another popular name for the volume is Mrs Beeton's Cookbook. Most of the recipes were illustrated with coloured engravings, and it was the first book to show recipes in a format that is still used today. 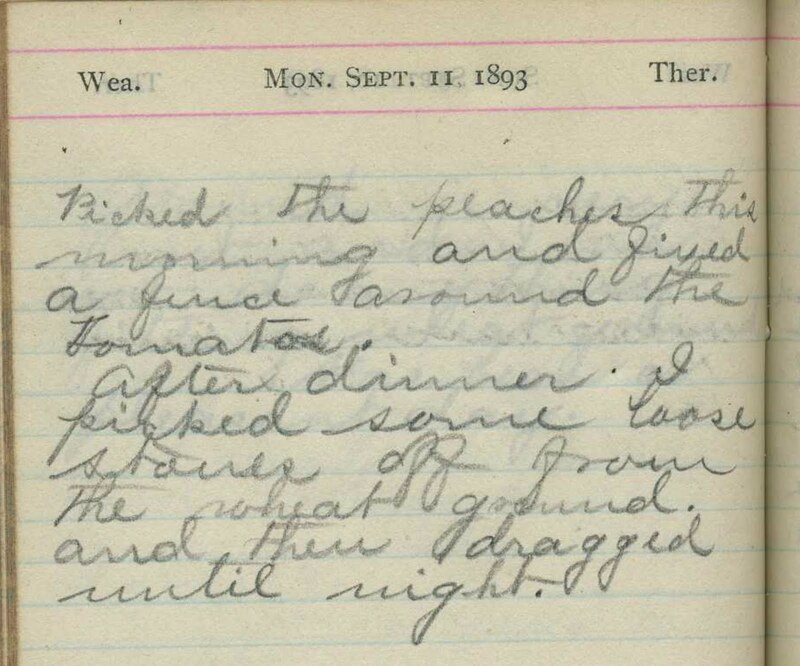 It is said that many of the recipes were actually plagiarised from earlier writers (including Eliza Acton), but the Beetons never claimed that the book's contents were original. It was intended as a guide of reliable information for the aspirant middle classes. Mrs Beeton is perhaps described better as its compiler and editor than as its author, many of the passages clearly being not her own words. The day after the birth of her fourth child, in January 1865, Isabella contracted puerperal fever. She died a week later, aged 28. Her widower lived for another twelve years and died of tuberculosis in June 1877 at the age of 46. Both are buried at West Norwood Cemetery in south London under a simple headstone.